Let our closet installation specialists help you from start to finish! Maybe your small closet is slowly turning your bedroom into a clutter paradise. Or perhaps you have an ancient-looking closet so big that there is not enough room left for anything else. Whatever the case, you can count on your local renovation specialists to remodel your closet space or install a brand new cabinet system in line with your personal aesthetic and practical needs. 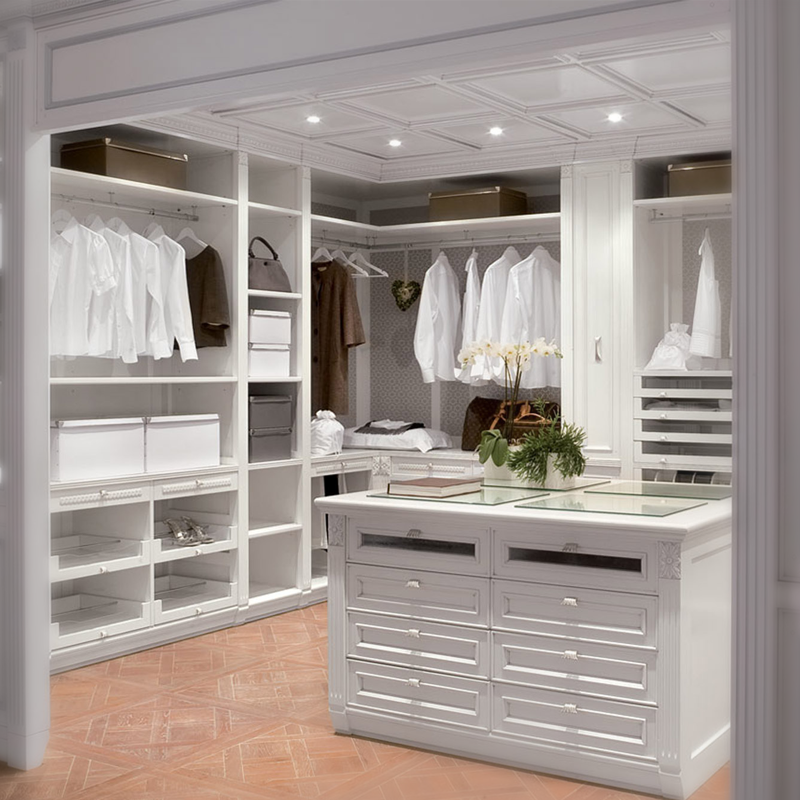 At ViSign Remodeling, we understand that a closet is more than just a place where you can store all your jewelry and clothes – it’s also a part of what makes your home look and feels unique. To that end, we work only with qualified and seasoned professionals who will bring anything from spirit levels and screwdrivers to stud finders and drills to make your custom cabinet project a reality. We also offer a 1-year guarantee for all work and materials provided and can source all materials upon request. We will then reflect the price for your delivery based on the number of materials you ordered and on the distance that we need to travel from the store to your property. We can assemble any type of wall-hung or floor-mounted cabinet system on the market. Both types of systems come with their distinct advantages, for instance, wall-mounted cabinets take up less space and allow you to clean the floor area beneath them, while floor-mounted systems are sturdier and can hold more weight. Regular shelves and floating shelves installation. The specialists can also craft a custom closet to your individual specifications, such as size, materials, and closet unit depth (14″ is the industry standard but we can go beyond if needed). Regardless if it’s a shop-bought cabinet or a custom order, just get in touch and describe the job in detail. We can then begin work as early as 24 to 48 hours after we give you a price quote. Limited closet space is something that many people suffer from, especially if you are living in a rented living space. With ViSign Remodeling, you will get personalized advice on how to refresh your closet in a way that matches your vision, style, and your need for extra storage space. The service starts with a thorough inspection of your closet system, after which your designer will sit down with you to discuss all of your cabinet’s shortcomings and what you can do to make the most of your limited storage space. You can then decide which visual or practical modifications you want to implement based on your current needs and budget. For example, your designer can help you modify your cabinet functionality by installing double drawers and inserts for all your jewelry, a pull-out belt rack to place belts and other hard-to-store garments, and more. We can also install the crown and baseboard molding. Whatever you need, just let us know and we will bring your ideas to life.